For much of the last 100 years, the story of the Irish fighting man in the Great War has tended to be overlooked and somewhat forgotten. Yet Irishmen of all backgrounds fought with immense bravery and courage during that conflict, with more than 49,000 paying the ultimate price on the battlefields of Europe - a figure that represents around 15 per cent of those Irishmen who enlisted. 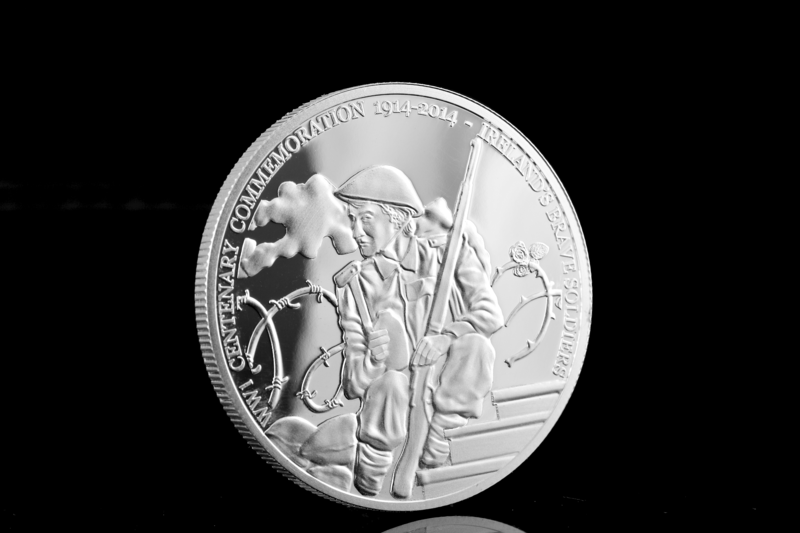 The centenary of the outbreak of the Great War offers a unique opportunity to honour their story and mark their sacrifice. 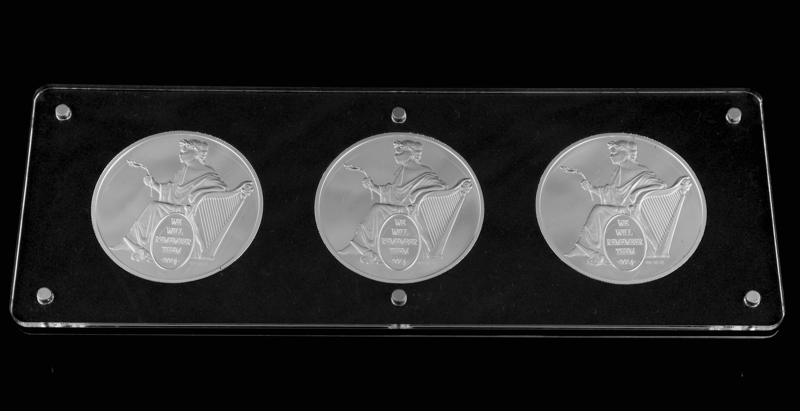 This specially commissioned 3-part commemorative set pays tribute to all those of Irish birth who lost their lives in the conflict. 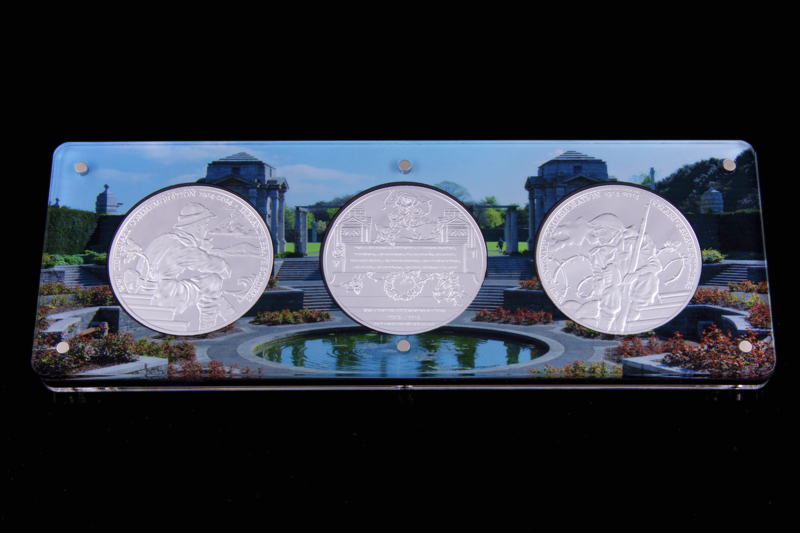 Its design draws on images of the Irish National War Memorial Gardens in Dublin, plans for which were first considered within months of the armistice. Today, the Gardens remain a focus for national remembrance. 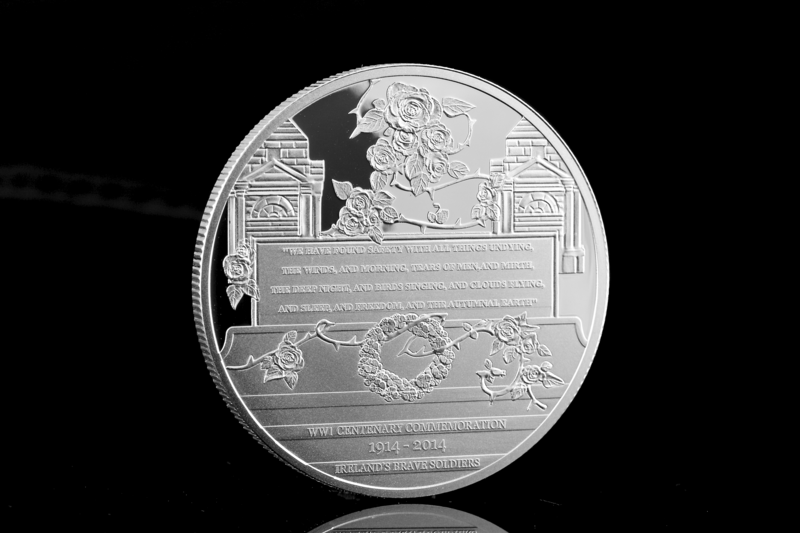 The central piece of the set depicts the War Stone with lines from Rupert Brooke’s poem ‘Safety’ which can be found inscribed on the wall of the Temple to the north of the stone. Pictured on either side of the stone is a Bookroom containing the names of the war dead. The other two pieces show a serving Irish soldier of the war years in rest and contemplation, the barbed wire of the Western Front behind him and the mountains of Ireland in the distance. 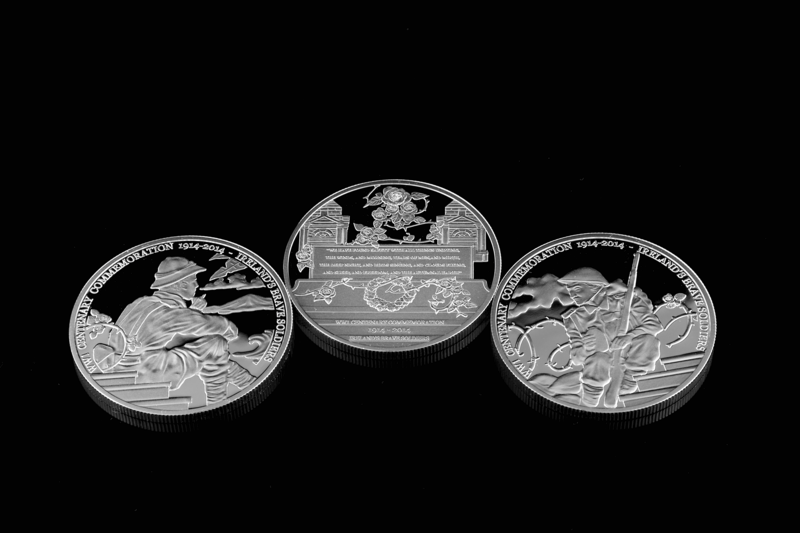 The reverse of each of the pieces echoes an historic Irish halfpenny coin design dating back to 1723 and pictures the figure of Hibernia with her left hand resting on the laurel-shaped harp that has long been an emblem of Ireland. 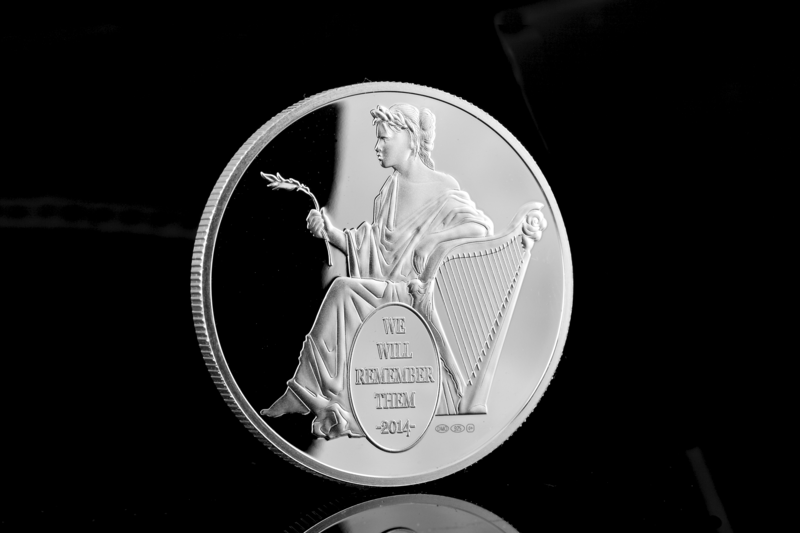 The words ‘WE WILL REMEMBER THEM’, from the Laurence Binyon poem ‘For the Fallen’, complete the picture.